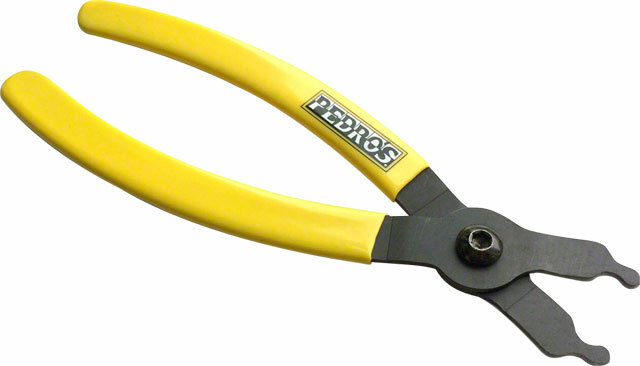 These quick link pliers make fast work of pesky or stubborn chain master links. The laser cut, heat-treated jaws feature a dual-function design allowing both installation and removal of master links. Cushioned grips provide comfort and control. Compatible with most 6-12 speed derailleur chain master links including SRAM Eagle 12 speed.